Cecil Cavanaugh, CPA, chairman of the Chamber of Commerce of East Baton Rouge, said, “The EBR Chamber primarily represents small business. Having just completed our first year and being recognized by the U.S. Chamber of Commerce, we look forward to 2014 as being a growth year for our members and for the people of East Baton Rouge Parish. “The Chamber EBR sees 2014 as a pivotal year, both economically and politically. We believe that EBR will continue to grow economically, due to our smaller, independent school districts in Zachary and Central and more abundant energy resources. Both of these attributes will continue to attract people and businesses to our parish. Amy Plaisance, publisher of Baton Rouge Parents Magazine, said, “We’re looking forward to what’s on the horizon and meeting the resolutions we set for 2014. This year promises to be a great year for print media. “The mission of the magazine has not changed. Twenty-four years ago, Baton Rouge Parents Magazine was created, predicated on the belief that our community was the best city in the state to raise a family. Parents know they can rely on a wide selection of safe neighborhoods, an award-winning parks system, superb health care, and numerous youth sports programs. The wealth of high quality education and childcare also speaks to the value that is placed on the word ‘family’ in our culture. “As one of the oldest, continuously published monthly magazines in Baton Rouge offering a distinctively local perspective on issues affecting families, our free monthly also publishes resource information about local events intended to assist parents in raising happy, healthy children. “This year marks the homestretch of the integration of our print, website, social and digital media, our ‘Parent Universe,’ to connect parents with up-to-date information, ideas, opinions, expert advice, local calendars of events, media reviews and information about the myriad of issues confronted by and discussed among today’s Baton Rouge families. “Baton Rouge Parents Magazine is one the most decorated parenting publications in the country, having won numerous Parenting Media Association, Medill School of Journalism, University of Missouri School of Journalism awards for editorial, photographic, and production excellence. Best of all, you can pick up a copy just about everywhere that parents go — daycare centers, private schools, doctor’s offices, hospitals, bookstores, museums, theaters and all area McDonald’s. Port Allen Is Looking Up! 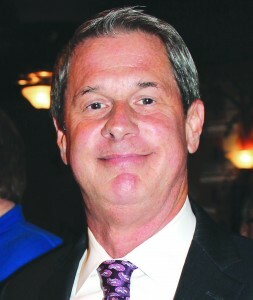 Sen. David Vitter (R-Louisiana)said, “Wendy and I are carefully considering whether I should run for Governor in 2015. Whatever our decision, though, I look forward to tackling big, important issues in the U.S. Senate during the year ahead. “Our biggest challenge is to slow and reverse our country’s march to socialism under Barack Obama. Most people now understand that Obamacare’s problems aren’t just about its website or rollout; rather, Obamacare is fatally flawed. “I’ll be deeply involved in conservative efforts to delay Obamacare and then roll it back, including ending the Washington exemption from Obamacare. We must also present our own targeted health care reform ideas – a clear set of workable alternatives. “This issue will have a lot to do with how voters respond in the November 2014 elections. We have an excellent opportunity to end Democratic/Harry Reid control of the U.S Senate, including through Bill Cassidy’s challenge to Mary Landrieu here in Louisiana.